I have a Jenn-Air JES9750AAB Grill top range that came with my house when we bought it 2 years ago. My wife loves it, I hate it, though it was working perfect until last week, When the 0, and the 9 key stopped working. I discovered this when I tried to bake a pizza, and couldn't set the oven to 400. I figured fine I'll set it to 388, and it will go to 390. Tried to make a pizza again today, and now the 8 isn't working either. So we have the 8, 9, & 0 keys all don't work. I was wondering if it might be dirty contacts, or something I can fix for little money ? Or Do I need a new stove ? I have an old GE JBP67W glass top range, but it needs a new glass for the door. I may fix this and switch it for the Jenn-Air if the cost to repair is too prohibitive. If the keypad/buttons has a ribbon cable that plugs into the control board you could try clean the end of the ribbon cable with a pencil eraser. Sometimes the connection will oxidize over time and make a bad connection with the control board and just needs to be cleaned. Other wise you would be looking at replacing the clock/control as it comes with the keypad/buttons. This topic shows the type of ribbon cable I'm talking about and how to clean it. Thanks that's a good trick, I'll try that. If it doesn't work, I'm just gonna buy a new glass for the old stove. It's only $60 vs. $233 for the control panel. That's who we got that little tip about cleaning the ribbon cable from. 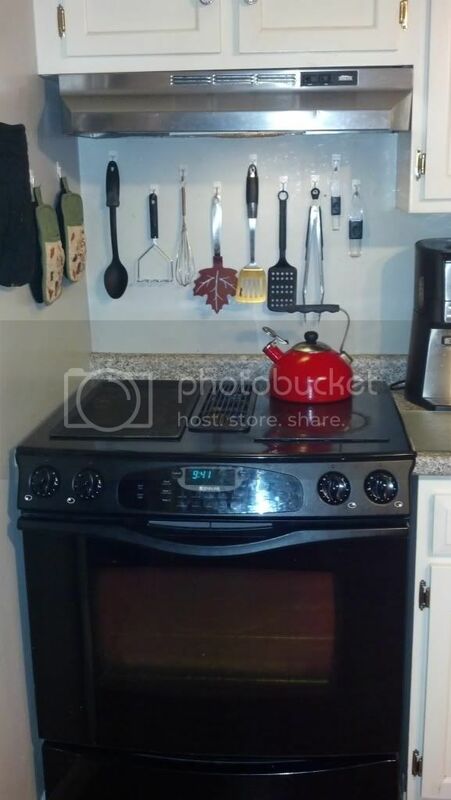 If you buy a new glass for your other oven keep us in mind when shopping for parts. We don't sell parts directly, but are affiliated with a couple great websites that do as this topic explains. If you try cleaning the cable please let us know if it works for you or not. What will you do for venting if you replace your Jennair with a standard range? I tried to clean the ribbon cable today, and it didn't help. I was looking online and I guess these stoves are known for faulty control pads, and control boards. I'm going to switch it for my old stove. Thanks for all your help ! As for the venting, I'm going to remove the blower, and fill the hole with insulation, then repair the drywall. As far as venting for the new stove, I already have a functional range hood in place. I already have a functional range hood in place. Good, that's half the battle there. Only reason I ask is I get asked about replacing Jennairs all the time. Especially those old drop-ins with the tiny ovens (Everybody hates those). Most people forget to consider what to do about venting. You either have to get another downdraft or do some major project installing a vent hood. Here's my current setup, well it was my current setup, I just sold the range for $100, And told the guy about the buttons on the pad. Wow, how did you sell that so fast? 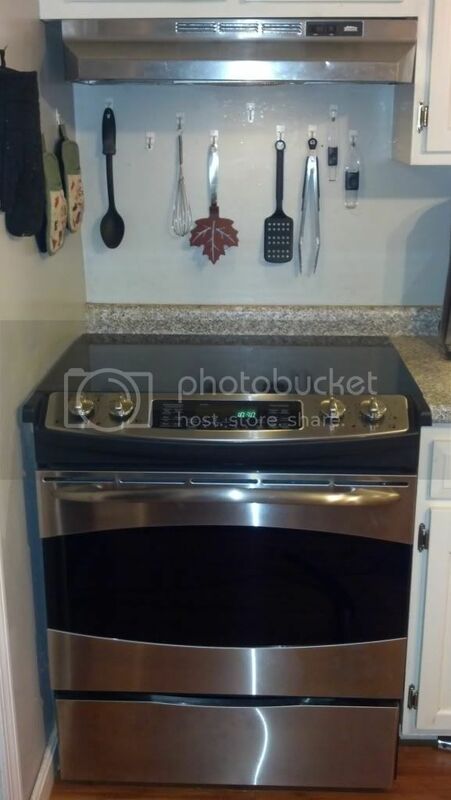 We have some members that buy appliances off of craigslist to fix up and resell. Would be funny if it happen to be someone we know that bought it from you. Yes it is a small world. I posted the ad up at 11:30 Last night, and got an Email at 12:00 asking if he could pick it up at 9:00 this morning. The guy who bought it already has another older Jenn Air that crapped out on him. His wife loves these things, so he bought mine for $100.00 and he's gonna change the panel for his wife. I can't believe I got a basically new $2000.00 Stove for $30.00 I'm floored. What do you guys think of this model ?? Here's a pic of the new setup: I just had to cut the counter top a little bit to make it fit, as it is a little wider than the old one. You only paid $30 for that one?! 30 bucks net cost. Pretty sweet huh. Nice find. Did you ask why they were selling it? And his wife had to have a gas stove.